Two car detached garage. Illustration of a two car garage. it is detached from the main house structure and contains a shop area on one side. 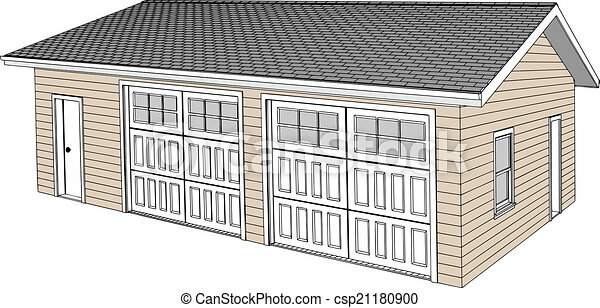 Illustration of a two car garage. It is detached from the main house structure and contains a shop area on one side.